A beautifully package generates new and repeat business for you, adds value to the product and enhances the beauty of your product or your brand. We has been involved in the apparel/Clothing fashion packaging market for many years.and now we feature a wide range of custom apparel packaging solution for you. 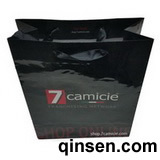 Apparel boxes & bags are the packing your apparels. ...Gabriel Industry is a professional custom packaging manufacturer.We are service for fashion brand and clothing factory and Focusing on giving you value-added solutions for your apparel packaging needs. ...We have been successfully manufacture and export a variety of affordable high quality customized apparel/clothing packaging for both consumers and product manufacturers around the world. 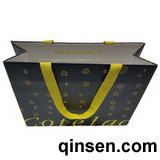 Such as branded paper bags,apparel boxes,custom underwear/lingerie packaging boxes ,and also supply other packaging product : ribbon,Paper tag,tissue paper,sticker and label for clothing accessories. ...Let us help you create customized matched packaging to show off your brand. How to place the orders or contact us? 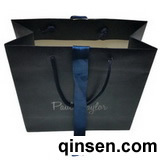 Please email us at sales @qinsen.com. It will be much better if you can send us emails with the read receipt to make sure we can receive your emails but not prevent by the Internet fire wall. If you are in a pinch and need to purchase urgently, please give us a call at +86 574 8206 0726 with Lan, we are here to help you. Copyright © 2008 - 2019 www.Qinsen.com, All Rights Reserved. Be Top Quality Professional Customized Apparel Packaging Manufacturer!